The Ebb monster comes complete with everything you need to start your hydroponic ebb and flow system, with the exception of your media and plants, of course. Control Module to make everything work! 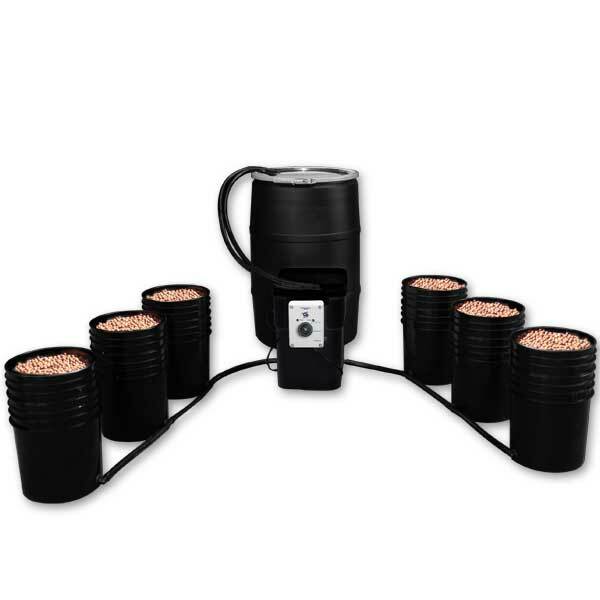 The Ebb Monster is a great way to do hydroponics because it’s self-contained, easy to monitor, and produces large fruits, flowers and vegetables. 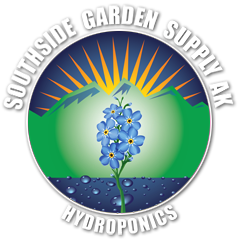 With the control module flooding and draining your 6 to 12 pots 3 to 4 times a day ( depending on your selected settings) from the 55 gallon reservoir, there isn’t a huge time demand on your day which can be really great if you have a busy life, as most of us do. A Quick check of your pH, PPM, and temperature on your wall mounted monitor twice a day and making sure your water level is where it should be (a good general rule to follow is that once the reservoir is down 50% you can top it off with fresh water 1 time) is really all that needs to be done on most days. It is recommended that the reservoir be emptied, cleaned/wiped out and refilled with fresh water and nutrients once a week. This will also help reduce the risk of colonization of fungi, bad bacteria, and root rot. When it comes time to start anew with your Ebb Monster, cleanup is fairly simple! The easiest way to do it would be to run a cleaning solution through your entire system such as H2O2, ONA Bleech, or Physan 20. Running the solution through the entire system will help clean the tubing and buckets, while killing any bacteria or fungi that may have started to grow. Using a sump pump attached to a hose is the easiest way to drain the reservoir. As with most things the Ebb Monster is not perfect. With lots of mechanics coming into play there is room for error as you are relying on pumps and a control Unit. if any of these components fail plants could be either be sitting in water or not getting fed. While Having a wall mounted monitoring system is a great tool and makes monitoring very easy it is a good idea to check your pH the old fashion way at least once a week to make sure your unit is running properly. In addition you will also need to watch the reservoir temperature, which should ideally be between 68-72 degrees. This is where the water chiller comes in to play, not only does the chiller keep your water at the desired temperature it also helps keep the water oxygenated. Ebb Monsters are also best suited for areas that do not have height constraints, since the plants are growing in 5 gallons pots they have plenty of opportunity to grow to their full potential. If you have a height constraint you might consider the Ebb and Grow which is a smaller pot based system.